It’s no secret to the world that once you’re incredibly rich, the sky is the limit and the latest bit of news we got from Mercedes seems to prove it. 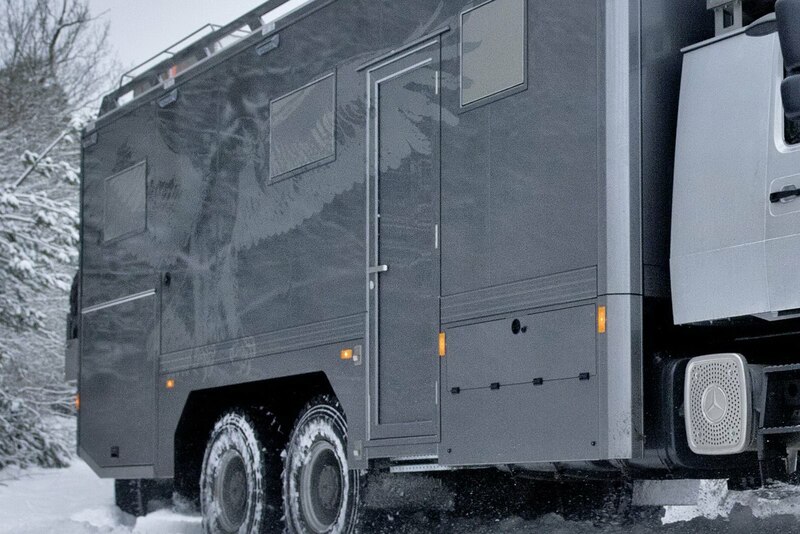 Mercedes’ Trucking is now creating some custom-made 6×6 Zetros Trucks for a few really rich Mongolian hunting enthusiasts. What we have here are a couple of unique toys that are going to be built by Mercedes and then shipped to Ulan-Bator where their owners will use them to hunt wolves. Hunting wolves is a problem for me but the trucks are incredible. 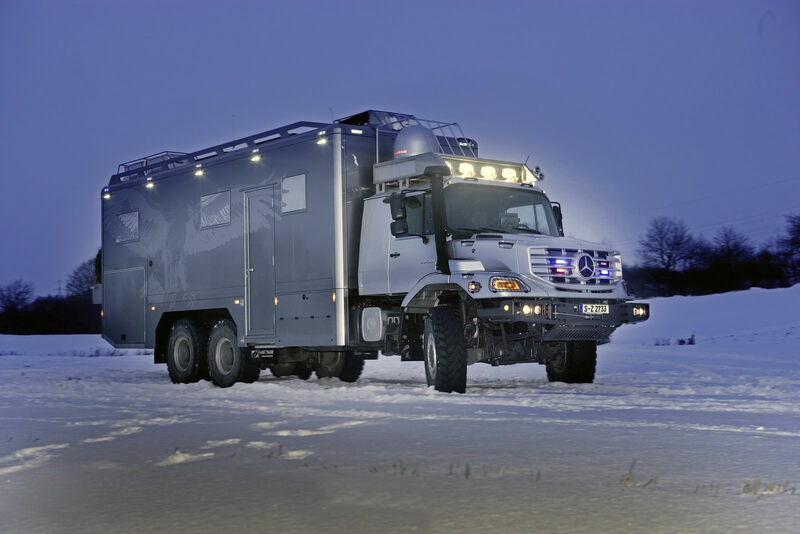 Using powertrains from Mercedes’ Actros and Axor vehicles and then the interior and finish level seem to be lifted out of something like the Brabus iBusiness 2.0. The performance is sourced from a 7.2 liter 6 cylinder turbo-diesel engine with a power output of 327 horsepower and a whopping 958 lb-ft of torque. 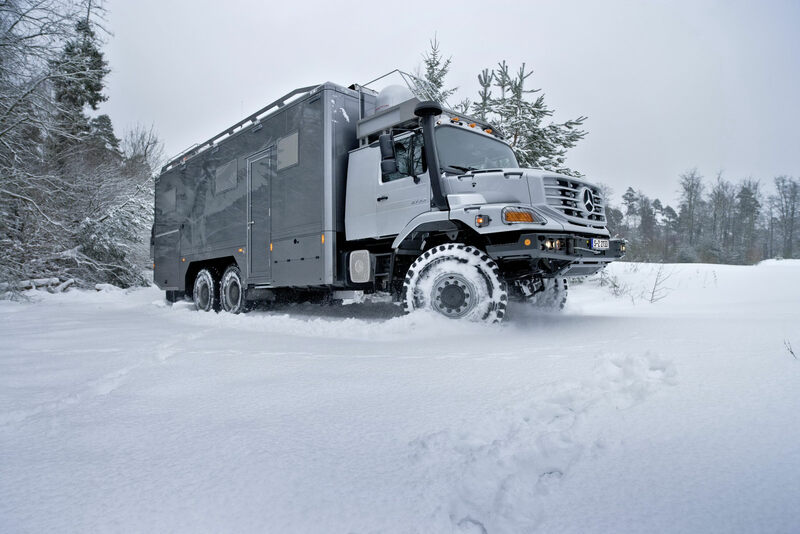 It’s reasonably average, but given the eight-speed transmission, the crawler gear and the permanent all wheel drive, these Mercedes bad boys can go everywhere they want to. I suppose that the 24 V audio system with CD player, changer, Bluetooth hands-free system and a 7-inch touchscreen of the cabin there’s a lot of weight to lug around. 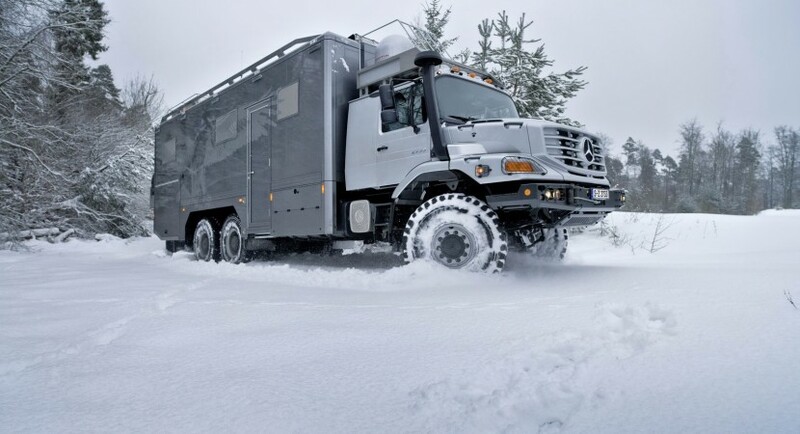 The back side of the Mercedes-Benz 6×6 Zetros is also full of technology, screens and even a rear vehicle bay that is able to accommodate a quadbike.